Jordan Walker was born in a small town of Breckenridge, CO in the year 2341. At the age of four his family moved to San Francisco, CA for his father's job. While living in San Francisco Jordan became obsessed with everything Starfleet including wanting to attend Starfleet Academy. He achieved that dream when he enrolled in Starfleet Academy in 2359 at the age of eighteen where he majored in security with a minor in command. His first assignment was on board the USS Hood as a security officer. It only took him seventeen months to get promoted to Lieutenant junior grade. After his stint on the Hood he spent a little over two years on the Galaxy as Assistant Security Chief before transferring to the Potemkin as Security Chief. The Potemkin did not serve on the front lines of the war but Jordan was promoted to First Officer of the Repulse after the Dominion War. While on the Repulse he considered Kate Pulaski to be one of his closest friends almost like a second mother. 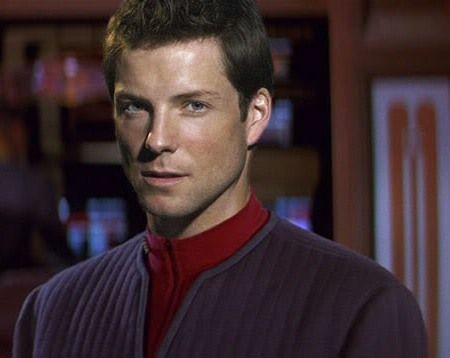 He elected to leave the Repulse in 2379 to transfer to the Quirinal for the opportunity to explore the Delta Quadrant as part of Project Full Circle.